Grow your own Sunflower in this pretty ceramic seed pot, designed and made in the UK, containing high quality seeds and Soil Association Certified peat free compost. 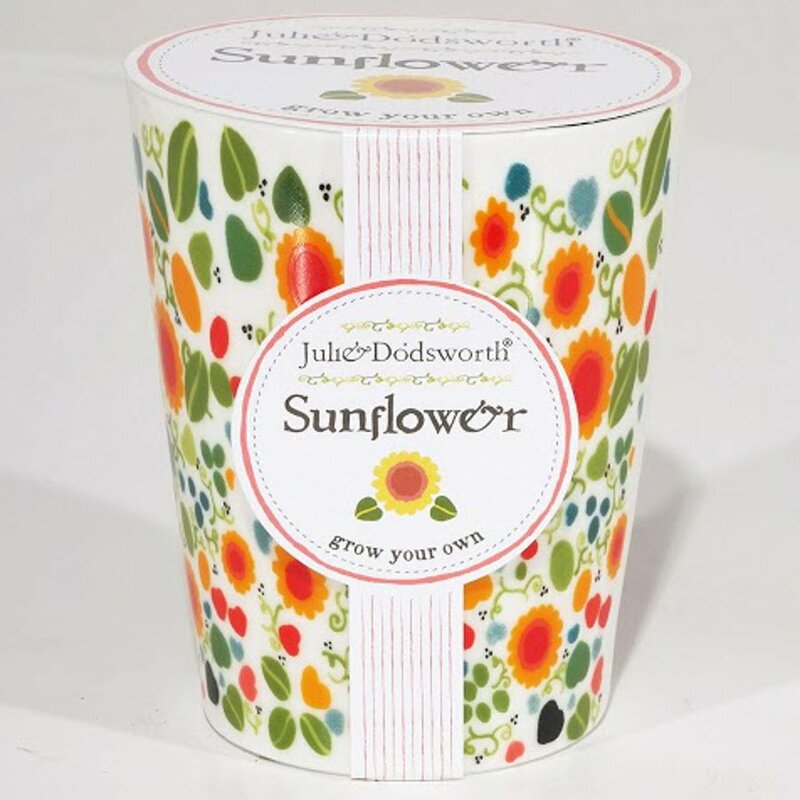 The Julie Dodsworth 'Grow Your Own' Ceramic Planter - Sunflower product ethics are indicated below. To learn more about these product ethics and to see related products, follow the links below. There are currently no questions to display about Julie Dodsworth 'Grow Your Own' Ceramic Planter - Sunflower. Julie Dodsworth is a British folk artist who paints and creates her original designs from her narrow boat Calamity Jane, inspired by the flora and heritage of the waterways. Her beautifully decorated ceramic seed pots make a thoughtful and naturally-inspired gift anyone will love.